Client: Homeowner in Montreal, QC. Problem: Mold does not typically grow on metal, so you probably wouldn’t expect to find it inside a furnace. In one recent case, though, mold had grown all over the insulation lining our client’s furnace—to the point that the interior of the furnace was absolutely covered, from top to bottom, in black, green and grey spots! 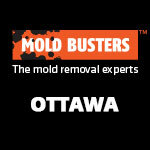 Of course Mold Busters has over 15 years experience working in mold removal, so we’ve see it all. I’ve opened furnaces and found mold, seen mold on AC vents, seen mold in air ducts, HVAC systems, and much more. Once I got to the client’s property I took out my tools and got ready to inspect. The first thing we did was to test the air quality inside his home. 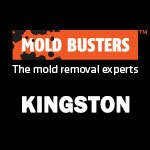 Every complete mold removal by Mold Busters begins by deploying the best diagnostic tests available. We were not only going to destroy this mold, but make sure it hadn’t spread to the rest of the house. Not surprisingly, the lab results revealed a high level of Cladosporium spores, a common type of mold that’s typically found outdoors. 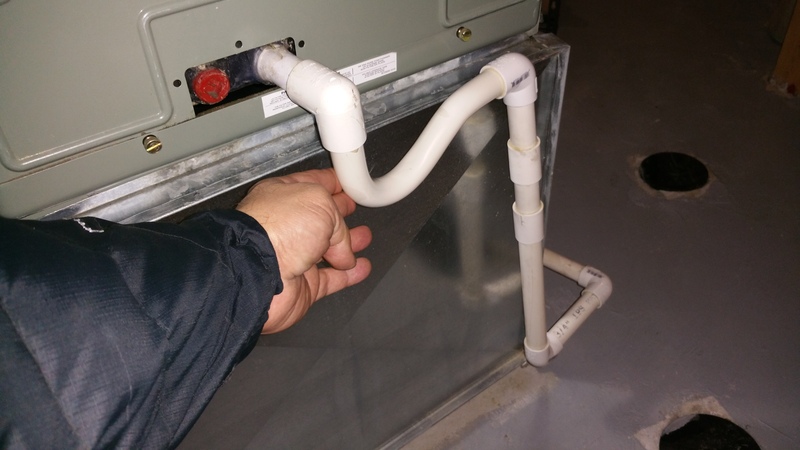 The presence of Cladosporium indoors almost always indicates a moisture problem, and this case was no different—water had accumulated at the bottom of the furnace because the condensation drain was not connected properly. Because a condensation drain was not attached properly, water accumulated at the bottom of the furnace. Black, green and grey blotches inside our client’s furnace pointed to a mold problem. Giving this property a certified mold inspection was what got rid of the mold. 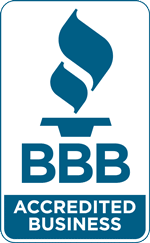 If Mold Busters had not found the source of the mold on inspection, and then addressed it thoroughly through remediation, it would continue spread around the home. That’s why we brought in an certified inspector who understood how to find the source of the mold. 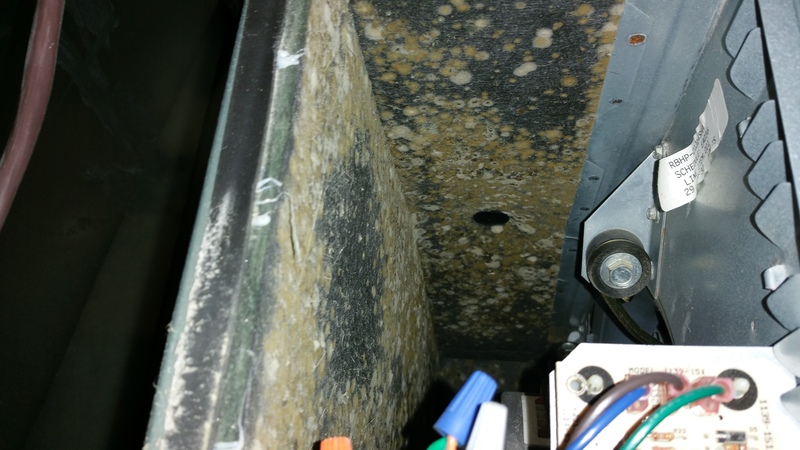 It seems that the inside of our client’s furnace provided the perfect environment for mold. Unfortunately, he didn’t have a clue because no obvious or visible signs of mold were present anywhere in his home! In fact, he only discovered the problem during routine maintenance of his furnace. And it was bad. In this particular case, the presence of Cladosporium mold meant that the tenants faced higher risk for asthma attacks and allergic reactions to this common outdoor mold. 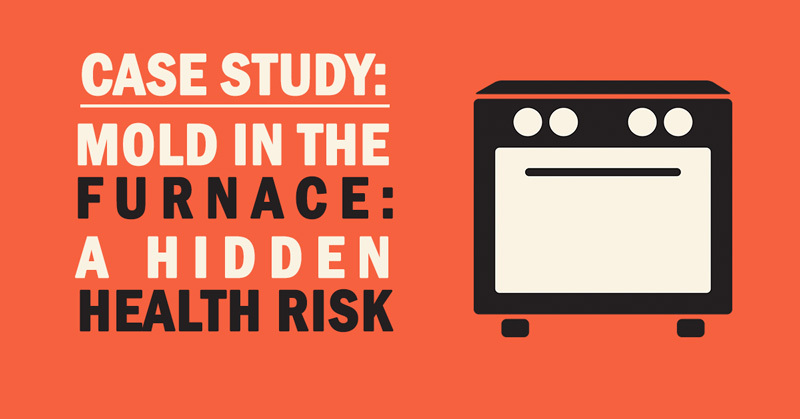 The presence of an outdoor mold at these concentrations in the house was a health hazard. Eliminate the source of moisture. 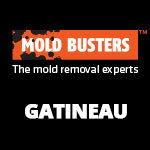 Remove the mold and disinfect, disinfect, disinfect! How we fixed it: After testing the indoor air quality and confirming the presence of mold, we had to remove it—safely. First, we contained the affected area and put our handy negative air pressure machine to work. This piece of equipment works much like a vacuum, sucking up and expelling mold spores, pollen, dust and other nasty stuff outside the home. Attacking the source of the mold was not enough. Proper and complete remediation must address the underlying risk factors for mold. 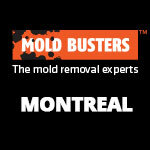 We would not forgive ourselves if we removed the mold without addressing the cause of the mold in the first place. Next, we addressed the source of moisture; in this case, this meant properly attaching the condensation drain to prevent future moisture leaks. Our tools allow us to not only measure existing moisture, but also see fluctuations in temperature which can indicate leaks. With the sources of mold under control, we were ready to tie off our project. 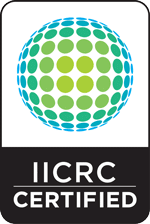 Following IICRC guidelines and equipped with head-to-toe personal protective attire, we removed all mold from the furnace and thoroughly disinfected the area. Mold spores are microscopic, so it’s always necessary to take measurements after cleaning – using scientific instruments – to ensure mold has been completely removed. Note: A complete and thorough cleaning of mold growth inside a furnace or an HVAC system is particularly important because the hazardous spores spread through the vents into other rooms, compromising the air quality in your entire home. The effects can be immediate once mold begins to grow, or can slowly develop over time. Everyone reacts differently to mold and mold allergies. You can have different symptoms in your family all caused by mold in the home. Conclusion: The fact that this Montreal homeowner didn’t suspect mold until a technician looked inside his furnace reminds us that the signs are not always in plain sight and that mold can grow in unexpected places. Monitoring your indoor air quality on a regular basis will keep you healthy and your loved ones as well. It isn’t that you need a professionally-trained eye to spot obviously visible mold. But you do need a certified mold expert to look deeper into your home to find where microscopic mold has taken root and its causes. Put your mind at ease—book an air quality test for your Ottawa or Montreal home. Hidden Mold – How We Almost Didn’t Find It! What on Earth Is that Smell? What You See Is Not What You Get: Asbestos in the Attic? Where to Look for Mold?